Many people fail to prepare for the future or think about their retirement years before they are upon them. In the United States, failing to save enough money for retirement is a financial concern for most of the middle class. To ensure you prepare a healthy financial plan and don’t rely solely on social security, here are a few important steps to take as soon as possible. Invest up to $5,500 each year into your IRA if you’re under the age of 50, which will allow you to have tax advantages and have an easy way of saving over the years. Set up the account to make automatic withdrawals each month to ensure that you make progress and reach your retirement goals. Traditional IRAs and ROTH IRAs are two different options to choose from and each come with different tax advantages. Look into your employer’s pension plan to determine if you’re covered and understand the benefits. You’ll also need to learn what happens to the pension plan when you change jobs. You’ll also want to research if you’re entitled to your spouse’s pension plan, especially if they pass away before you retire. It’s important to have an accurate estimate of how much money you’ll need once you retire. The cost of living will change once you reach the golden years due to inflation and additional expenses that you may not anticipate. It’s important to save extra money that may be needed for medical expenses or if you desire to reside in a retirement center to ensure that your needs are covered. Looking up the best retirement options in Texas, you’ll find centers like Sunshine Retirement Living offer payment plans which can help you estimate your finances as well. 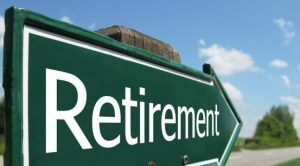 Many people make the mistake of withdrawing money from their retirement savings in the event of an emergency, or if they plan to purchase a house. Withdrawing money too early can delay when you retire and can also cause you to lose a significant amount of money due to taxes. Avoid touching the money and build an emergency savings fund that you can use if you suffer from a job loss or medical expenses. Preparing a healthy financial plan for your retirement years will allow you to have peace of mind for your future. Although it will require sacrifice and a bit of research early on, it will allow you to live comfortably and truly enjoy your golden years.